Attractive front doors, stairs and porches can be enhanced by simple and neat front yard landscaping to create a good impression. 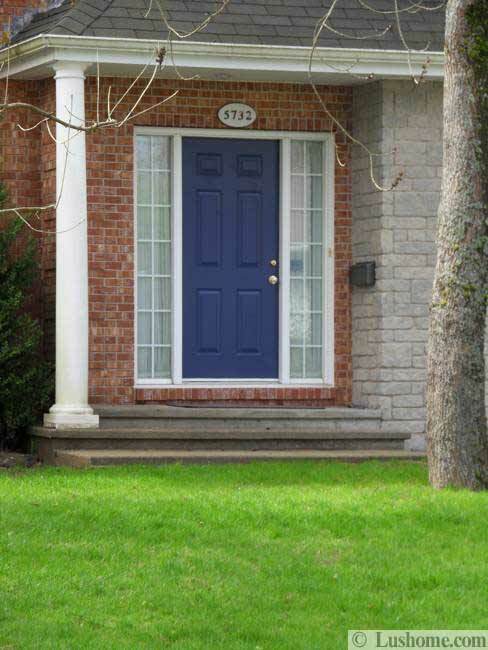 Front door color creates the focal point of house exterior design and help home staging for beautiful look or a quick sale. 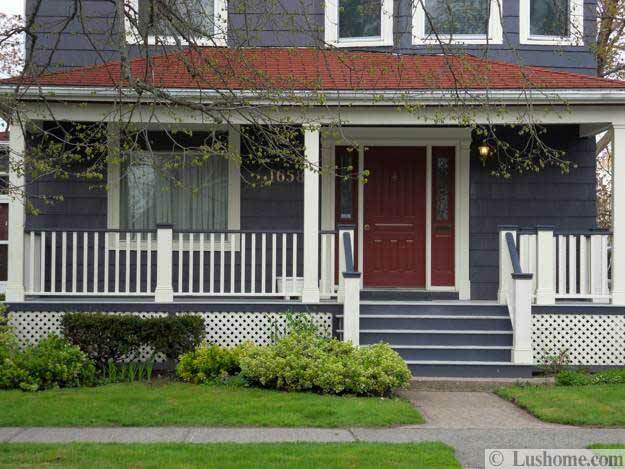 Lushome brings a few ideas for home staging, modern and popular front door colors and simple front yard landscaping ideas for home staging in spring. 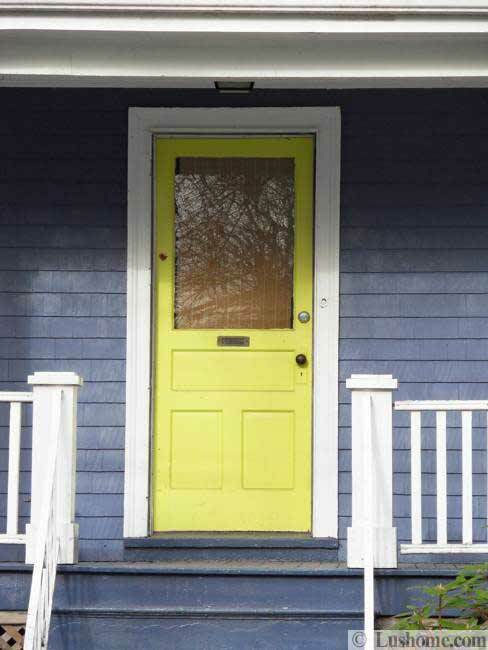 Colorful front doors add character and personality to the properties. 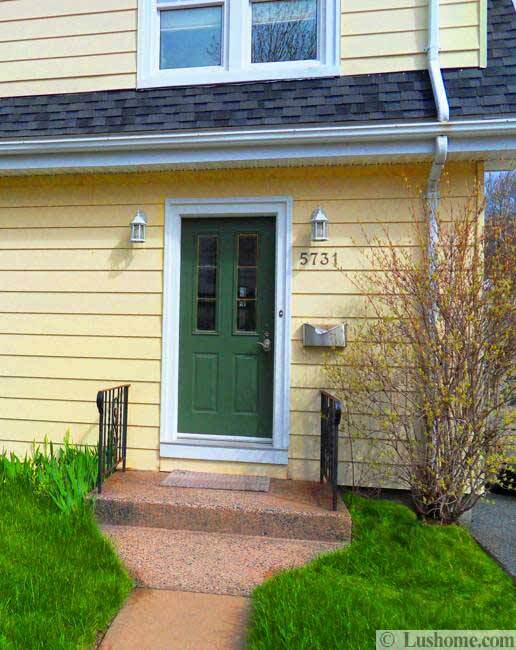 The front door color helps Feng Shui home design, the practitioner say. 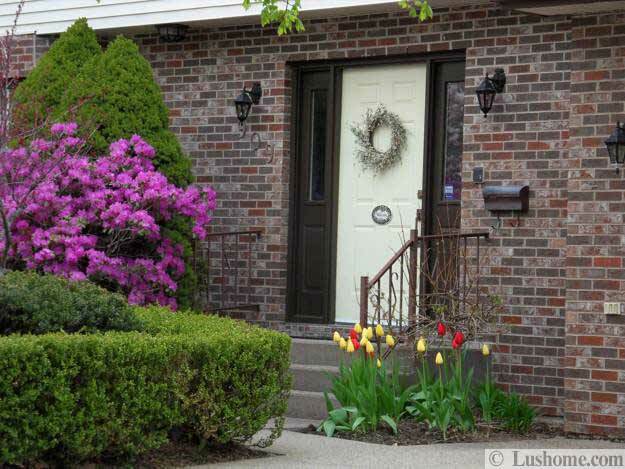 Simple and neat front yard landscaping and attractive front door color create a good impression, please the eye and invite more prospective home buyers. Sunny yellow color shades, blue and green colors and neutral color tones are great for spring decorating. Dark blue and green color, black and brown colors, soft white paint colors and brownish red color shades are versatile and look perfect in any season. 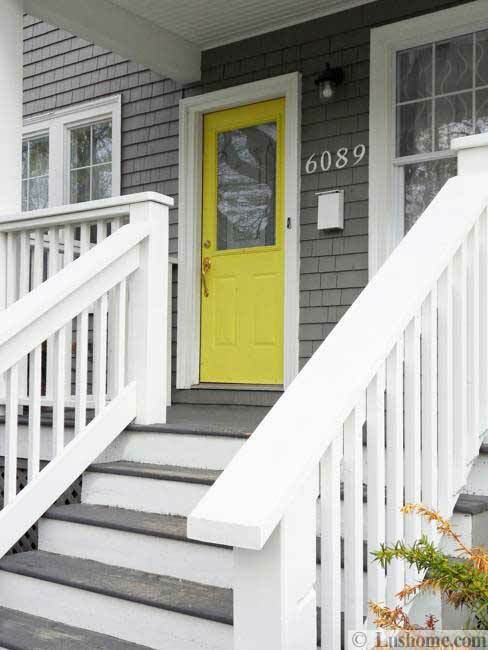 Painting ideas for front doors, stairs and porches vary, but a fresh coat of paint changes the way a home looks and feels. 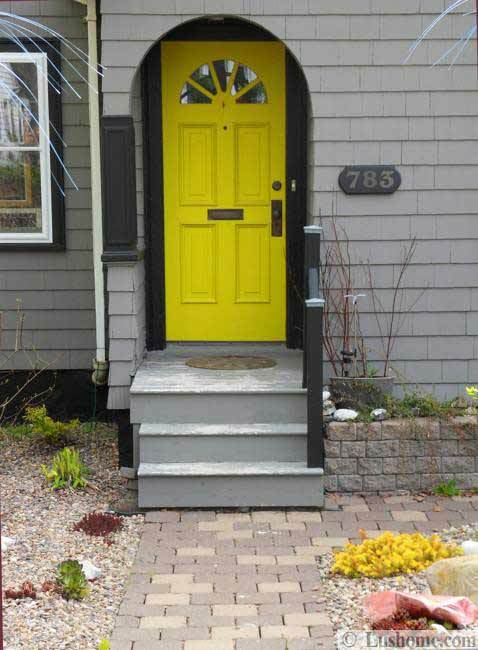 Bright front door color can refresh and beautify even an old house exterior and add charm to house design and front yard landscaping. Simple and neat yard landscaping shows that a property is taking care of. 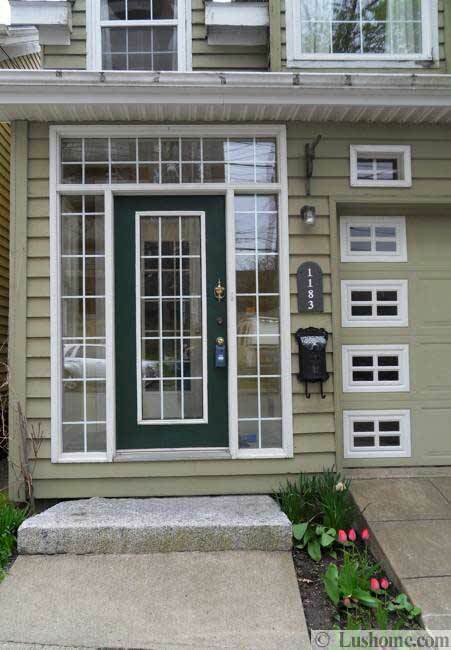 A bright accent door and contrasting painting ideas improve curb appeal. Bright yellow color is great for a striking pop of color. Simple front yard landscaping, green lawn and an accent door are all you need to create a nice presentation of your house exterior. 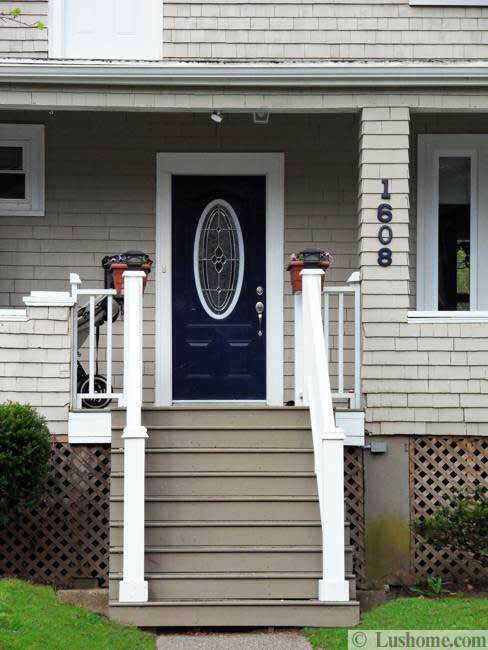 Quick painting ideas for front doors that create contrasts with siding and trims add energy to the house exterior and create a fresh and modern look. 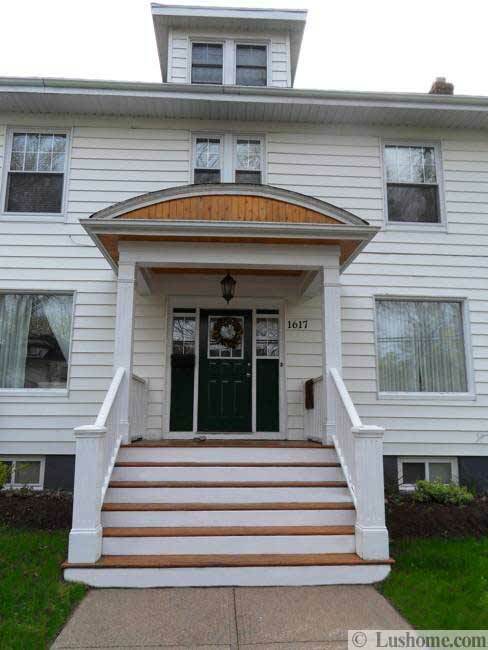 By painting the raised panel or sides of the raised panel, porch elements or stairs a contrasting color, you can create very attractive, bright and interesting house exterior design. Colorful elements create spectacular contrasts with green colors of leaves and grass. A contrasting front door color adds a stylish decorative accent to house exterior and creates an instant focal point for the front yard landscaping. Simple painting ideas and bold colors are wonderful together. 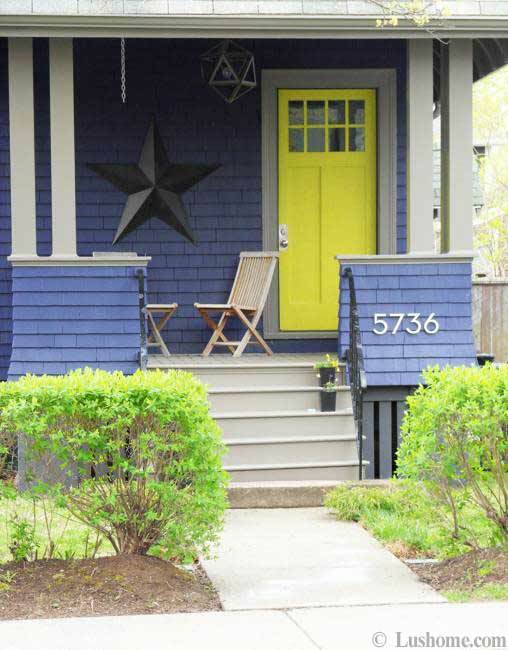 Painting ideas for a front door, stairs, house numbers or porch elements in a bright color compliments the rest of the exterior design and set apart a house from the rest homes on the street. Creative, simple and easy painting ideas are great techniques for designing unique, elegant and attractive front door and yard that delight and invite to see the home interiors. 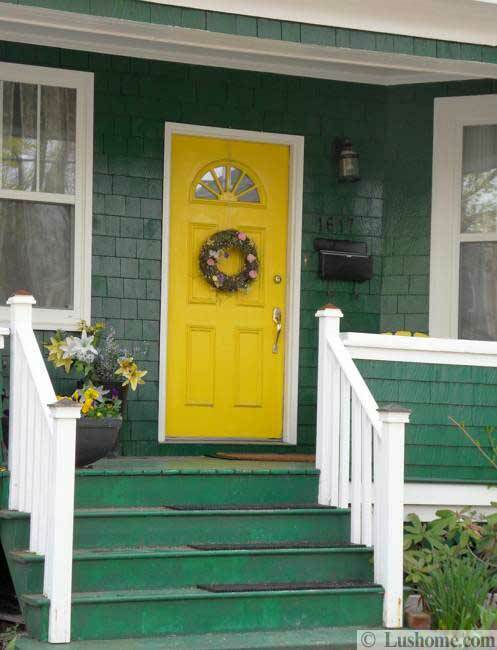 Adding a complimenting color to a front door decorating is an exciting way to draw attention to the house exterior design. Neat front yard landscaping and a bright color for front door decorating create a welcoming feel and make guests eager to enter the home. 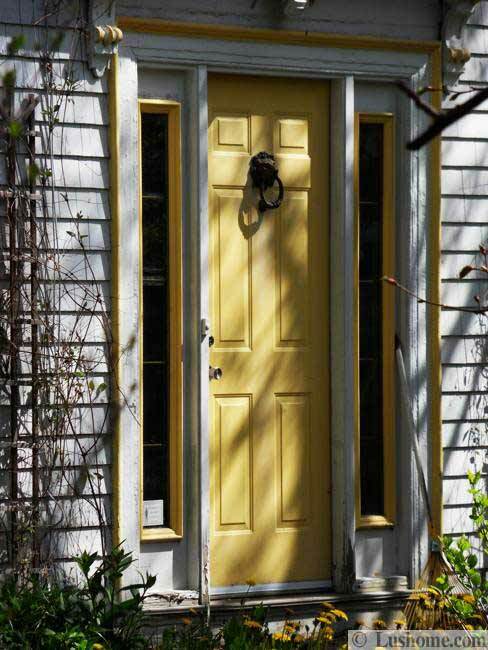 A bright door color helps draw the eye away from less appealing areas of the house exterior that may need work or improvement. Adding a pop of color is a dramatic home decorating idea that alter the curb appeal of a home and transform front yard also. 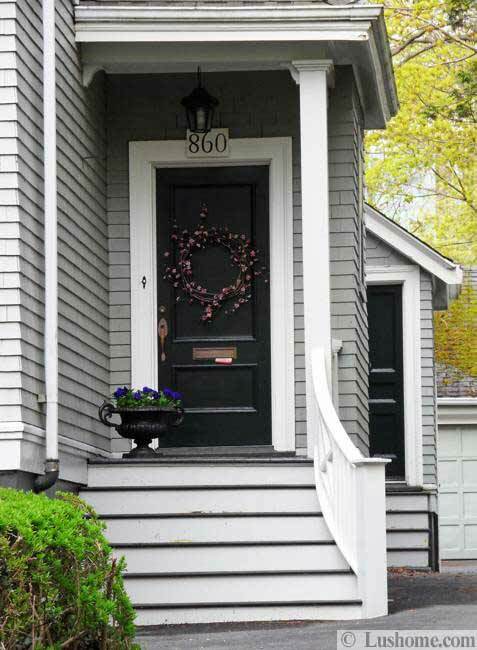 Adding new hardware, simple and elegant door decorations to a front door are an easy way to add interest to the home. New hardware brings shiny surfaces into outdoor home decorating and adds a striking contrast against the house exterior walls and front door. 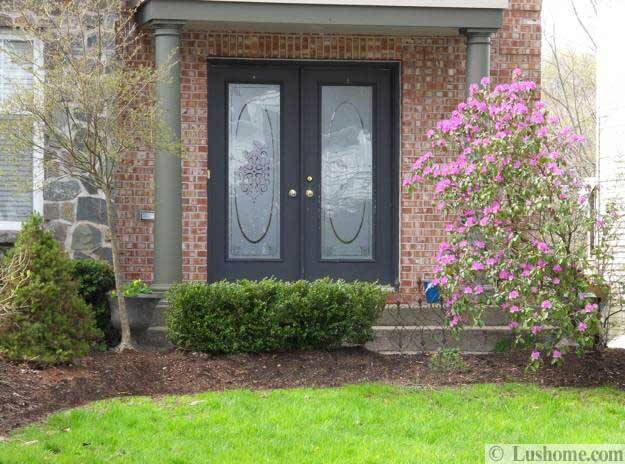 New locks, a door handle, new house numbers and a planter with flowers improve the curb appeal of the home.